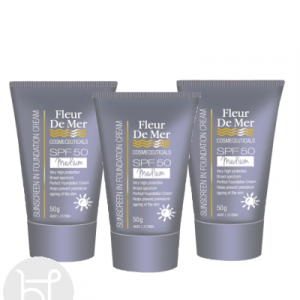 Fleur De Mer tinted sunblocks are very popular all year round. A very high protection tinted sunblock 50+. 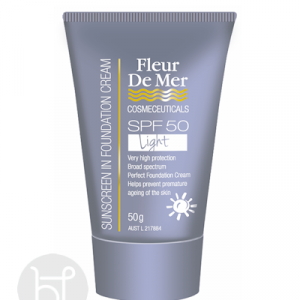 Great as a daily foundation to avoid prolonged sun spots and sun damage to the face. Tinted Light. Australian Made. This can be purchased as a 2 pack for your convenience! 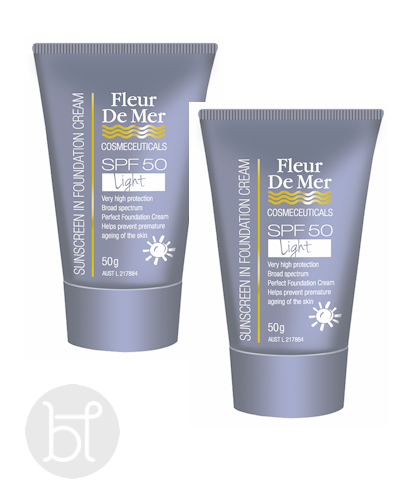 Fleur De Mer tinted sunblock is SPF 50+ which makes it Australia’s high protection. 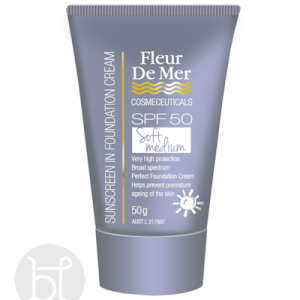 When using everyday you are getting a soft foundation coverage and protecting skin from the suns rays which causes premature ageing. 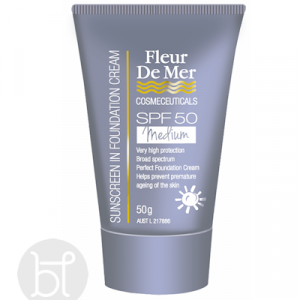 Fleur De Mer tinted foundation sunscreen SPF50+ have 3 shades. The scale goes from Light, Soft Medium to the darkest being Medium.